Guin Turner gets a brief mention in this article over at the San Francisco Bay Guardian Online. 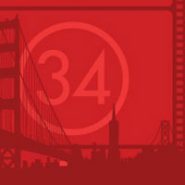 The article takes a look at some “Frameline 34” films, one of which is The Owls, directed by Cheryl Dunye and starring Guin Turner as Iris. The blurb from the SFBG Online is below in case the page ever disappears (as newspaper related articles tend to do).